The Shih Poo is a cross between the Shih-Tzu and the Poodle. The Shih poo is one of many named Poodle crossbreeds, bred in an attempt to combine the characteristics of the Poodle, such as its high intelligence and low-shed coat, with the desirable traits of another breed?? ?in this case, the Shih Tzu. Some Shih-poos may have a longer, more Poodle-like muzzle than their Shih-Tzu parent, alleviating many breathing problems that Shih-Tzus can experience, such as Brachycephalic syndrome. Shih-Poos are playful and energetic dogs. They love to chase after balls, play with squeaky toys or drag stuffed animals around the house with them. Generally, the Shih-Poo makes a great playmate for older, respectful children but won?۪t tolerate harsh handling or hair pulling. 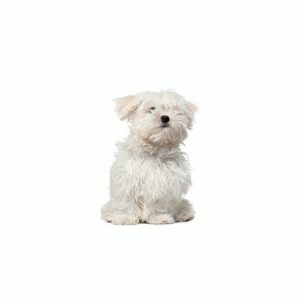 Because the Shih-Poo is a crossbreed, some are accepting and affectionate toward strangers while others are reserved or shy around them. They love to cuddle with their owners and expect to sleep in bed with them at night. Although energetic, the Shih-Poo doesn?۪t require a lot of vigorous exercise. Short but brisk walks in the morning and evening is all that is necessary to keep this spunky little guy fit. He will happily run around the home playing with a ball or other toys. Romping and playing in a grassy backyard with children or racing around a dog park with his canine pals is also appreciated by the Shih-Poo. This is not a hybrid breed that will enjoy jogging or hiking with his owners.